Image Size: 693 × 461. The large wrought iron tree seat looks huge in comparison to the smaller tree bench. 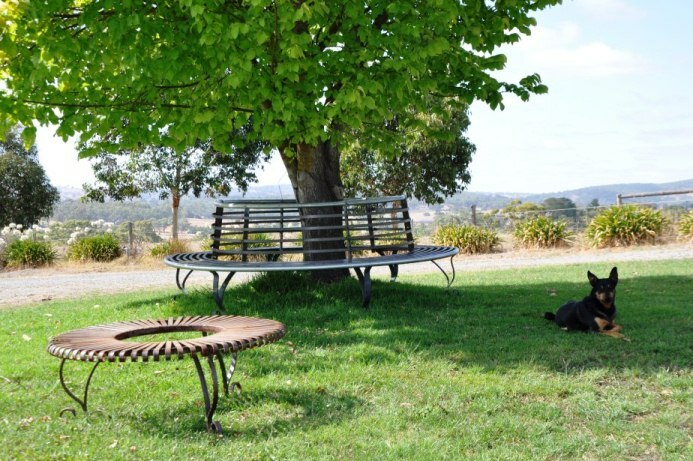 Two of our wrought iron garden products – a large tree seat and smaller wrought iron tree bench are pictured here together.